Traffic Cop VR has been officially announced today. 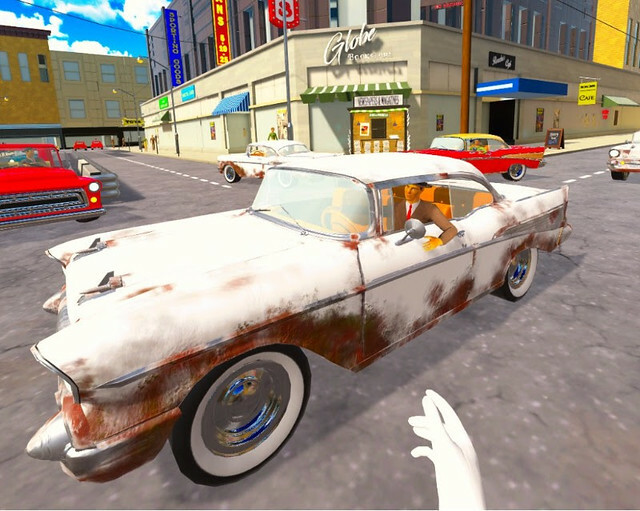 Brian Bobik in collaboration with Waden Kane Game Studios brings the 1950s to VR in a comical and wacky fashion. As a rookie cop, you must prove yourself at the city’s busiest intersection with unpredictable drivers and, also, by moving up levels to unlock mini-games. Making it on the mean streets of the 50s takes time management, critical thinking, and strategy. In Traffic Cop you’ll use all three to: move traffic along efficiently, survive the day and protect the citizens. Your first day on the job puts you in the thick of things, directing traffic in the heart of the city’s busiest intersection. Unpredictable drivers will need to be dealt with strategically, handling speeders to minimize collisions and avoid delays. And if traffic comes to a halt, beware of the road rage. Drivers will blow through intersections and may take their anger out by throwing various food items while you try to keep the traffic flowing. Choose to dodge or catch the oncoming fodder, throw it back at angry drivers to gain bonus points and show ’em what’s good for them, or just enjoy the occasional flying donut. Unlock mini-games in Traffic Cop to protect the citizens. Your foes will come in the form of an alien attack that you’ll fend off with a ray gun, a giant bird infestation who’s nemesis is your trusty slingshot and hot-rod driving hooligans who are out to stain your uniform. 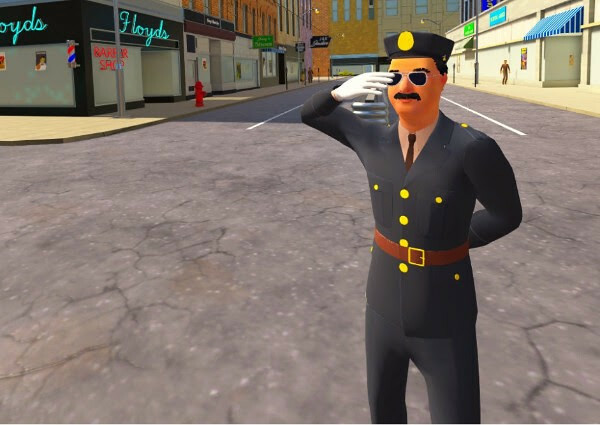 Traffic Cop will be available for HTC Vive on Steam in late May, for $19.99. Ports to the Oculus, Windows mixed reality headsets, and Playstation VR are coming in the near future. Direct traffic in the city’s busiest intersection efficiently to keep cars moving. Take strategic action when cars move at different speeds to avoid collisions and minimize delays. Survive unpredictable drivers as they ignore the rules of the road and blow through intersections. Duck and dodge oncoming food thrown by raging roadsters or catch it and throw it back! Unlock mini-games and protect the citizens from an alien attack, giant bird infestation or uniform staining hooligans Oh the humanity! Wield your trusty ray gun, or take aim with the slingshot.